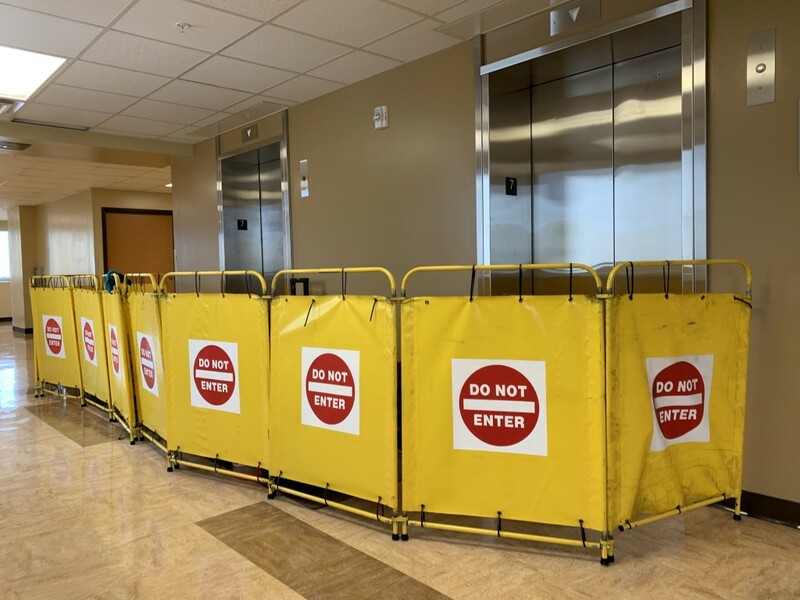 Juniper-Poplar Hall's six elevators will undergo major repairs over the course of the next year. Housing and Residential Education (HRE) is replacing all of the motors in the elevators. Andrew Johnson, director for operations and outreach for HRE, said each motor costs about $200,000, including installation, with the total cost being roughly $1.2 million. The vendor in charge of the replacements is KONE, which operates all 41 elevators in the residence halls. The project is set to be completed by the end of spring 2020, Johnson said. The motors were ordered six months ago and installation of the replacements began March 11 at Poplar Hall. Johnson said it takes up to six weeks to install a new motor, and the first replacement is set to be completed by the end of next week. However, when one elevator is shut down for repair, Johnson said the adjacent elevator has to be closed as well. With one elevator operating for all seven floors, some students are complaining about the inconvenience of waiting extra time, especially when they are running late for class. Junayed Jahangir, a freshman majoring in finance, said not having all the elevators working decreases efficiency and convenience when living in an on-campus residence hall. The downtime for Elevator 2 is expected to be less than two hours after the beginning of each shift, Johnson said. Workers tend to start the replacement of the motor after 10 a.m. to respect the quiet hours established in the residence halls. After the new motor installation of Elevator 1 is complete, HRE is set to begin working on Elevator 3 in Poplar Hall in May. Replacement of the motor on Elevator 3 in Juniper Hall will start at the beginning of fall and Elevator 2 in Poplar Hall over the winter break. “The proactive maintenance of the residential elevators has been a strategic priority for Housing and Residential Education so that our residents experience a minimal number of service disruptions and we maximize the life expectancy of university equipment,” Johnson said. Zachary Netzeo, a freshman majoring in marketing, currently lives on the sixth floor at Poplar Hall and chooses to take the stairs instead of waiting for the elevator. Jessica Senatus, a freshman majoring in business analytics and information systems, said she was late for a class since she was not aware of the repairs going on in the Poplar Hall elevators. Naomi Steffer, a freshman majoring in business advertising, said repairs are necessary to maintain the safety of all residents. However, waiting is becoming inconvenient. Once work is completed, Johnson said the motor replacements will increase the life expectancy of the elevators and improve the student experience.